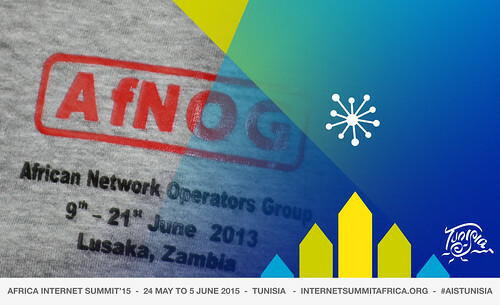 AfNOG (African Network Operators Group) is a forum for cooperation and the exchange of technical information between operators of Internet-connected networks in Africa. AFRINIC (African Network Information Centre) is the African Internet Registry responsible for managing Internet number resources in its service region. AfTLD (The African Top Level Domain Organisation) is a non profit organisation for coordinating, formulating, developing and presenting a unified approach to issues related to the Domain Name System. AfREN (The African Research and Education Networking) a Unit of the Association of African Universities (AAU), was set up to promote national and regional research and education network in Africa. AfPIF (The African Peering and Interconnection Forum) is an ISOC initiative addressing the key interconnection, peering, and traffic exchange opportunities and challenges providing participants with global and regional insights for maximising opportunities that will help grow Internet infrastructure and services in Africa. AfIGF (The African Internet Governance Forum) was formally launched in Nairobi, during the global Internet Governance Forum in 2011. The First AfIGF was held in 2012 in Cairo Egypt. The AfIGF takes on board representatives from governments, businesses and non-governmental organisations and addresses Internet Governance issues in the continent to provide substantive input to the global IGF process. ICANN the Internet Corporation for Assigned Names and Numbers (ICANN) coordinates the Internet Assigned Numbers Authority (IANA) functions, which are key technical services critical to the continued operations of the Internet's underlying address book, the Domain Name System (DNS). AfricaCERT (The Africa Computer Emergency Response Team) consists of trusted computer incident response teams devoted to cooperate to handle computer security incidents and promote incident prevention programs. ISOC (The Internet Society) Is present in Africa through its African chapters. ISOC was officially formed in January 1992 and engages in a wide array of activities including policy, governance, technology and development. ISOC has consistently supported AF* organisations in capacity building initiatives since the early 1990s. From 1993 to 2001, a number of professionals have been trained in the design, operation, maintenance and management of Internetworks during the annual Internet Society (ISOC) Network Training Workshop.